By Chee Ying Fan, Badzine Correspondent. Chong Wei created history by becoming the first Malaysian player to win the Malaysia National GP Finals five consecutive times. 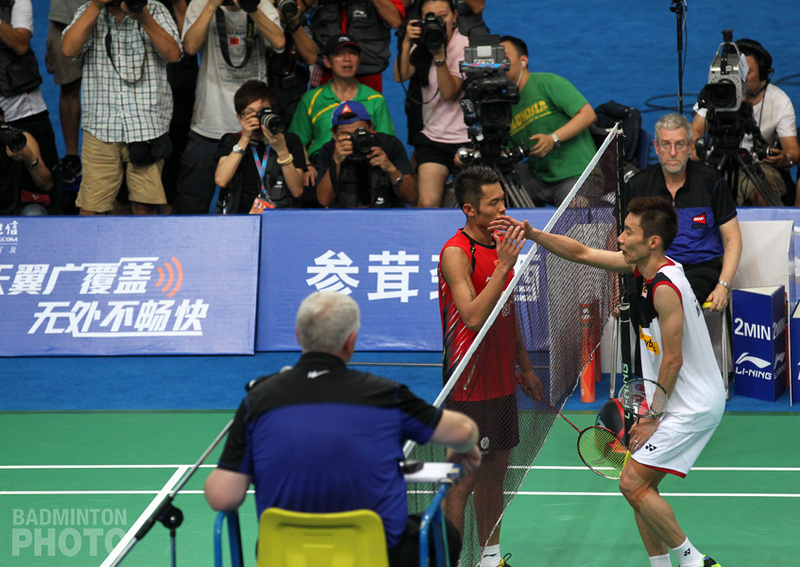 Chong Wei proved that he was still the nation’s best when he beat Hafiz, 21/14, 21/15. This win will definately boost his confidence for the World Championships which will be held in Malaysia in August this year. 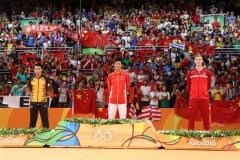 With the win, Chong Wei may ask for an exemption from playing in national tournaments to focus on the World Championships this year. Malaysia’s national number one, Wong Mew Choo also lived up to expectations when she deafeated Lydia Cheah, 21/12, 21/13. The latter, who stands at 176 cm tall, created an upset against second seed Julia Wong earlier but she was not good enough to beat Mew Choo in the final. Meanwhile Koo Kien Keat achieved a double win when he won both the men’s and mixed doubles titles. He and Tan Boon Heong had an easy win against Tan Bin Shen/Ong Soon Hock, 21/10, 21/13. In the mixed doubles, Kien Keat and partner, Wong Pei Tty won against Mohd Zakry Latif/Ooi Sock Ai, 21/15, 21/15. 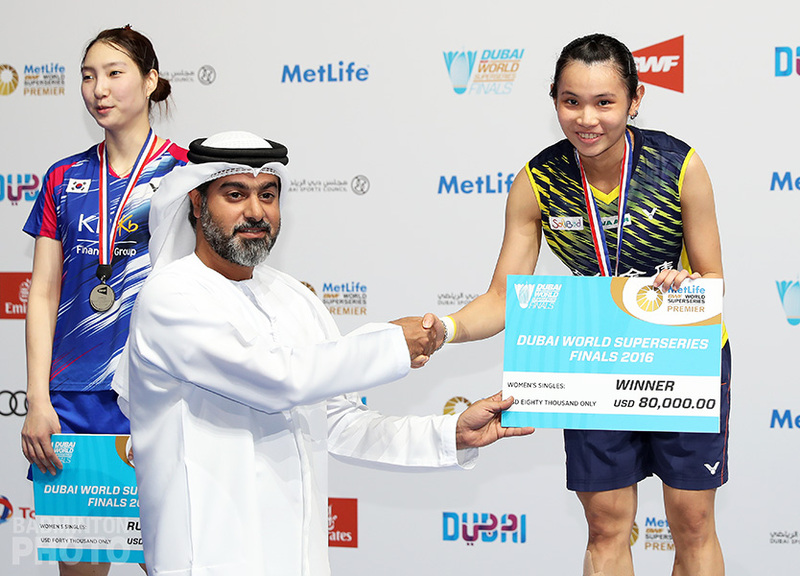 Kien Keat/Pei Tty proved that they are Malaysia’s best mixed doubles by winning the titile without dropping a single set throughout the competition. 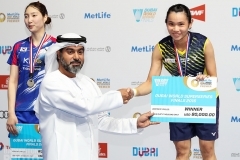 Despite losing in the semi-finals in women’s singles, Julia Wong did not go back empty-handed. Julia and Haw Chiou Hwee surprised Fong Chew Yen/See Phui Leng in an interesting match by beating them 21/16, 25/23 in the women’s doubles. Meanwhile, defending champion Peter Gade won against second seed Kenneth Jonassen, 22/20, 21/11. 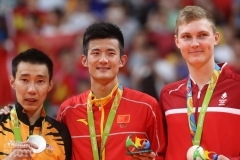 In the recent Malaysia Open, Peter also defeated Kenneth but in 3 sets. The Dane clinches another of his numerous titles at home hinting that he is fully ready for the All England next month. Gade and Jonassen are used to facing each other in the last match of national events, but the breakthrough came from youngster Jan Jorgensen – seen as many as the rising star in Denmark, who beat the odds and was the only player to take a game from Gade in the competition. Tine Ramussen won as logic prevailed in the women’s singles – but not against Camilla Sorensen as expected, but rather against Nanna Brosolat 20/22, 21/11, 21/12. World number two ,Jens Eriksen Jens/Martin Lundgaard Hansen Martin were surprised by Lars Paaske/ Jonas Rasmussen . 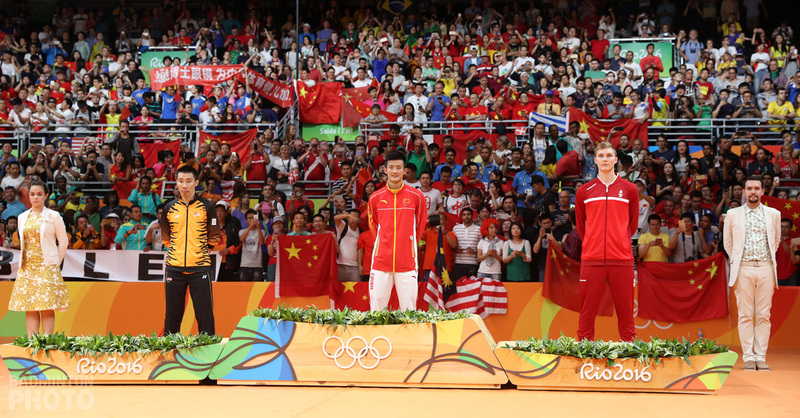 The top seeds lost 17/21, 22/24 to the former World Champions. However, Eriksen managed to win a title when he and partner Helle Nielsen defeated Joachim Fischer/Britta Andersen with a 21/15, 21/14 win in the mixed doubles. The latter are the newcomers and created the upset of the weekend by defeating top seeds Laybourn and Rytter Juhl, adding another strong mixed in Denmark’s legacy of top pairs in the event. It is Helle Nielsen’s first title in the mixed, while Jens Eriksen somehow avenged himself from the disappointement of having to split with Mette Scholdager to focus mainly on the men’s doubles. Denmark’s Christina Pedersen/Mie Schjott-Kristensen emerged as the women’s doubles champions after beating Britta Andersen/Helle Nielsen in a tough match 21/19, 9/21, 22/20.With the the national championship just concluded, the players will now be focusing on All England and Swiss Open next month. With the the national GP finals just concluded, the players will now be focusing on All England and Swiss Opens next month.